Universidad Ean has one of the best business incubators in the world! 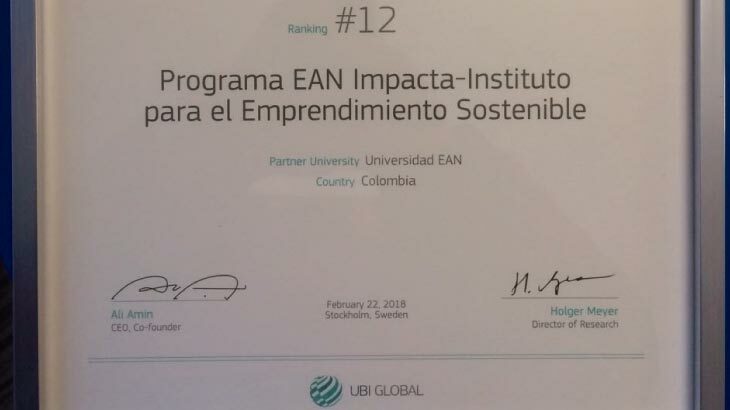 Ean Impacta program, hallmark of Institute for Sustainable Entrepreneurship (IES by its initials in Spanish) of Universidad Ean, received an award that recognized it as one of the best university business incubator in the world and the most important one in Colombia. Our university and business community are proud of this certification made by UBI Global at the award ceremony of the World Incubation Summit 2018 (WIS) which took place in Toronto (Canada). This business incubators network assesses worldwide the academic projects that promotes entrepreneurship. 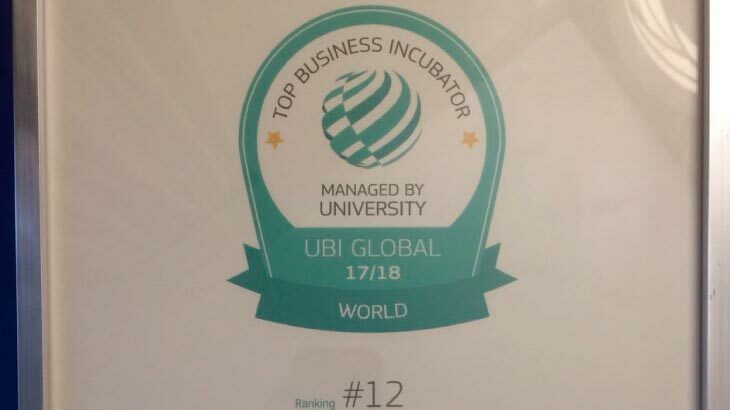 After an in-depth research, this Swedish entity ranked us in 12th place in the Top Business Incubator Managed by University category. For this ranking, the best 20 initiatives were selected from a total of 425 applications from countries such as Finland, Mexico, Chile, Canada, Colombia, United States, Austria, Germany, Sweden, United Kingdom and Brazil. 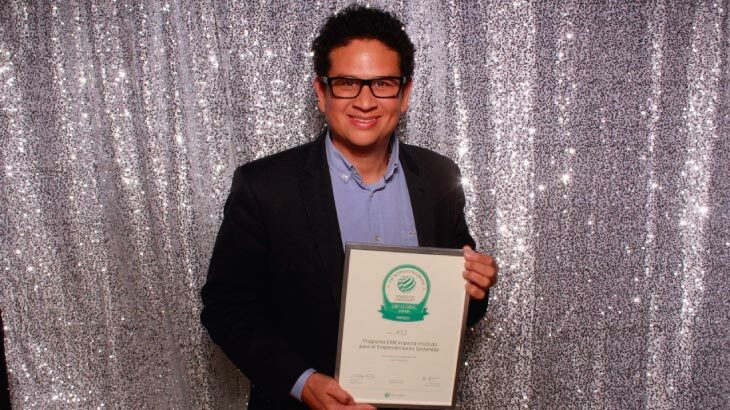 "This award is a piece of the work and commitment that Universidad Ean has with the Colombian business development. 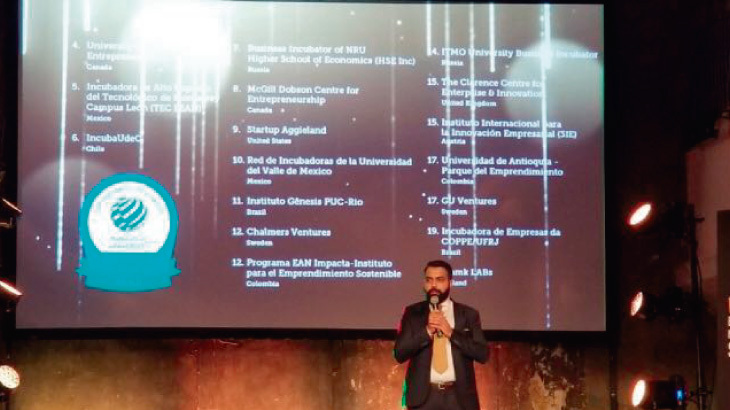 Therefore, it is another reason, for our students and those who have a business idea, to place their trust in this program that becomes their dreams into real sustainable startups", said IES professor Jairo Orozco, who represented us at the UBI Awards 2018 gala. Find out about the news and courses we have for you! (Res. No. 29499) By the Colombian Ministry of Education. Bogotá D.C., Cundinamarca, Colombia, South America.